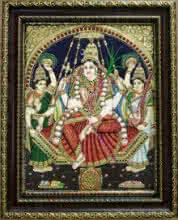 Goddess Annapurna is the incarnation of the Hindu goddess Parvati and is the Goddess of the Kitchen. 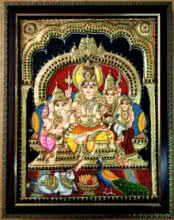 Anna means “food” in Sanskrit and purna means “filled completely”. 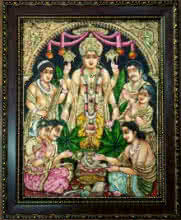 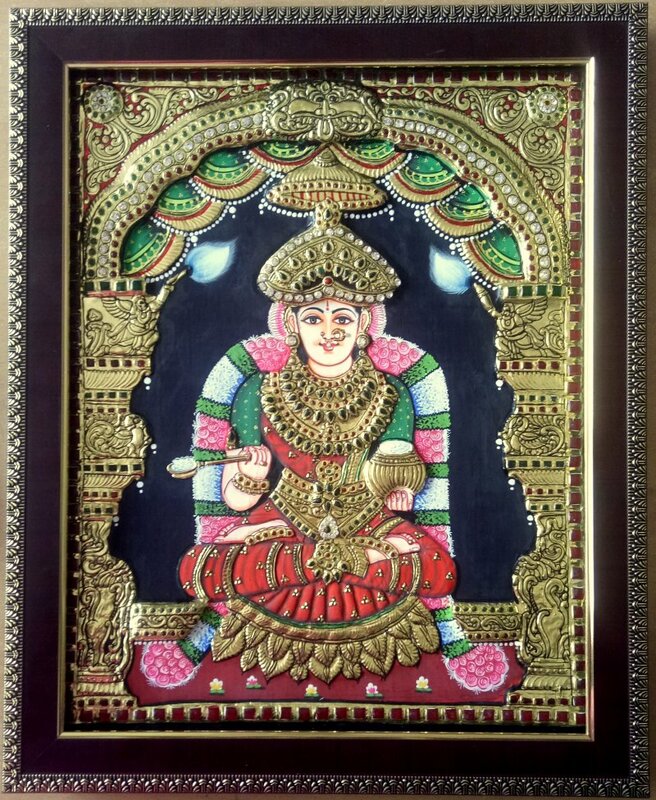 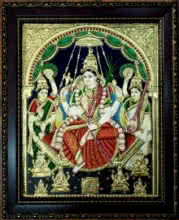 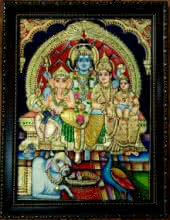 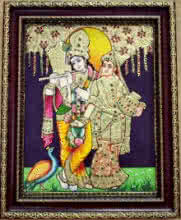 This Tanjore painting is created using the original ancient method of making them and are handmade.